You may have just written the best blog post in the world. You looked up in the internet and found that yours is unique as none has touched the field of your article. You may have edited it thousands of time to reach to perfection and then finally posted it. Hold on! Do not keep your expectations too high on the comments. There are critics sitting all over the world to scrutinize your writings. 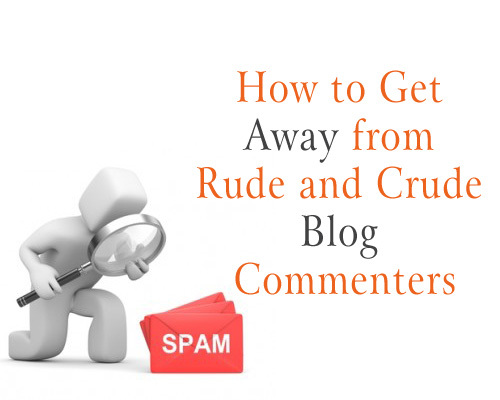 How to Stop Spam Comments on WordPressRude, mean, and plain ol’ ignorant comments (otherwise known as “trolling”) are firmly intertwined with the Internet. Some people take it as free pass to spout off inanities. Because in spite of all the praises you get for your article, the one comment will break you. Set your comments where you may approve or deny them via e-mail. This way, you can avoid the obvious clowns like Doink3298 and still approve people that have very real things to contribute. We always tend to let in the comments we feel are favorable to our blog post and our egos. Make sure you do not misunderstand that not everyone is trying to tear you down. Few negative comments can spark healthy debate too. Approving or denying every single post that comes through your site can get very irritating at time. To avoid such irritations, keep an eagle eye out on your posts and delete trolls with extreme bigotry! One of the major problems you will be facing in this aspect is timing. If you wait until a comment goes up on the site before killing it, you risk the chance of people seeing it. Worse happens when people comments on them. You will have to delete their comments as well and an infinity loop soon picks up. Understand that the majority of Internet users are regular, decent people who have just as much interest in weeding out trolls as you do. Most people can be expected to know an ignorant comment when they see it and will either scroll past while rolling their eyes or will attack the person for you, in other words white knight them. If anything of such sort happens to you, try to let the flow of conversation occur naturally and see what happens. Always remember that moronic comments cannot be the end of the world. Who knows their presence might even raise some sympathy from your readers?